I’m an old school soul music fan. While my friends wanted to be John Lennon or Eric Clapton, I wanted to be David Ruffin from the Temptations. I was that nice Jewish boy who preferred the Four Tops to the Four Seasons. My musical tastes always preferred grit to perfect pitch. Amy Winehouse’s did too. She and I could have spent hours together, turning each other on to our favorite songs and singers. She’d have played me Dinah Washington. And I’d play her some Big Maybelle. She would play Otis Redding and I would counter with Otis Clay. It would have been great fun. Just like an upcoming event that the Boston’s Jewish Music Festival, Jewish Film Festival, and New Center LIVE are presenting together: The Amy WineHOUSE Party, July 23 at Johnny D’s in Davis Square. 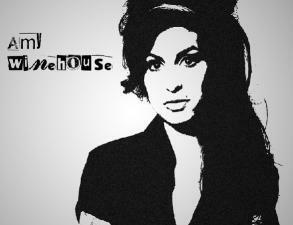 The evening features an 8 pm showing of the documentary "Amy Winehouse: The Day She Came to Dingle." Then at 9 pm, we’ll enjoy local singer Ingrid Gerdes and Friends performing songs by Amy, songs that inspired her and some of Ingrid’s original tunes Amy may have inspired. Now, you don’t need to be a rabbi, cantor or ethnomusicologist to know there’s nothing inherently Jewish about Amy’s music. But I think there is something subtle and sociologically/culturally Jewish to me about all this. Jews have always had a strong relationship with music, either because their souls were driven to it or by the fact that in many diaspora communities it was one of the only ways they could earn a living. Less than a century ago, Jews created a pretty direct path, musically and literally, from Lower East Side Yiddish theaters to the "neon lights on Broadway," written by Barry Mann and Cynthia Weill. At the same time Jewish songwriters were writing hits, black performers becoming more accepted, often performing music written by New York Jewish songwriters like Doc Pomus, Leiber and Stoller, Carol King and Burt Bacharach. A similar dynamic was talking place in Chicago where Southern black blues artists like Muddy Waters, Howlin' Wolf, and Etta James (I have no doubt Amy was a fan of hers!) were being recorded and promoted (and often exploited) by Phil and Leonard Chess, owners of Chess Records. Why are so many Jews drawn to this soulful music? Allow me to offer a psycho-socio-absurdist theory. I think Jews are always facing conflicting impulses. On one hand, we want to be Jews but we also want to be accepted in mainstream society. We want to find a raw expression of our spirituality but we also want to be well-behaved. You don’t see any whooping or hollering in a temple the way you do in a gospel church. We’re torn between the part of us that would just love to loose control and bare our souls and the part that wants to be recognized for our intellect and accomplishments. Soul and blues music gives us a chance to strip aside our need for propriety and acceptance, even if just for 3 minutes. No wonder Amy Winehouse devoured R&B music as soon as she discovered it. But I think we’re drawn to Amy, and stories like hers, for reasons beyond her music. Could we be attracted to the idea that instead of worrying whether she would be a good girl or not, she made a total commitment to the music and life she wanted. That’s the creative, talented artistic side to Amy that we are drawn to, but we can’t ignore the dark side. Her addictions and emotional difficulties are part of her life – and Jewishness – too. Amy reminds us that even "nice Jewish girls (and boys)" can have problems with substance abuse, self-destruction, and depression. For that reason, we’ll also be holding a raffle at the party with all proceeds going to the Amy Winehouse Foundation, whose mission is "supporting and empowering children and young adults in need through music therapy and music education and working to prevent the effects of drug and alcohol misuse on young people." So why will you come to the Amy WineHOUSE Party? Will it be to enjoy the music? See the film? Hang out with friends? Support a worthy cause? They’re all good reasons. Then again, so is just wanting to twerk your tuches to "Rehab." The Amy Winehouse Party will be July 23 at Johnny D’s in Cambridge. Tickets are $15 in advance, $20 at the door. For tickets with dinner reservations, visit johnnyds.com. For general admission tickets, visit bjff.org.